Home » Protein & Fitness » Which Protein Shake Is The Best – Whey, Casein, Genus Or Soy? Protein is an essential building block for muscle tissue. 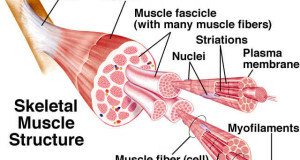 In fact the human muscle cell is made up for mostly simple protein fragments called amino acids. Amino acids are molecules that are arranged to make various types of protein molecules. Protein is a generic term that means an arrangement of these amino acids, bound together. The body can make any kind of protein it needs out of amino acids, but it needs a strong pool in which to gather the necessary amino acid fragments. Proteins from the diet supply the body with these essential and non-essential amino acids, which are broken down in the stomach and then rearranged at a cellular level to create proteins needed for cellular and muscle growth. All protein isn’t the same however. Each protein type has its own amino acid make up and quality. Meaning, that different amounts of the 22 amino acids make up each protein type. This is important because the quality of the protein largely depends on its amino acid make up. High quality proteins like Whey, Egg, Casein and Genus protein are perfect for the bodybuilder while other forms such as Soy and Collagen are largely shunned by the bodybuilding community because of their poor amino acid profile. How much protein a bodybuilder needs is based on the amount of activity and if the bodybuilder is taking supplements that can benefit from extra protein like the various “andro” products on the market. Supplements like andro will help speed up protein synthesis which will require even more protein than usual when working out heavily. This of course is why people call “andro” the king of all supplements. Still, if andro is the king, then protein makes up the subjects. You can’t build muscle without it. Protein is the single most important aspect of supplementing for the bodybuilder. Choosing a high quality protein is of the utmost importance as is getting enough protein in the diet. Even the most novice bodybuilder should be taking in roughly 3/4 of a gram of protein per pound of body weight. This means an average male should take in about 120g per day. Protein in the diet can come from a variety of sources like meat, fish, eggs and beans. Meats like, chicken, beef and pork contain about 7-10 grams of protein per ounce. The leaner the meat, the more the protein content. Eggs contain about 6g of protein per egg, which means you’d need to eat a 5 egg breakfast to get 30g of protein in your diet. A typical 8oz flank steak with 7g of protein will net you about 56g of protein and a 6oz chicken breast will give you 42g of protein. Eating a diet like this every day will give the novice bodybuilder about 120g of protein per day. If you are looking to supercharge your gains and are following a strict workout program, then you will want to get more like 170-190g of protein in the diet per day. Additionally, if you are taking a supplement like andro, which puts your body into a hyper growth state, then that magic number can be as high as 250g of protein per day to hit your peak muscle building requirements. With numbers like this, a standard diet isn’t going to work. Most people just don’t want to eat 10 eggs for breakfast, 2 steaks at lunch and 3 chicken breasts for dinner. That’s why they turn to protein supplements in the form of a protein shake. Protein shakes come in a wide variety of flavors, making them a much more enjoyable than in years past. There are two types of shakes on the market: MRP and Protein Shakes. MRP is a “meal replacement” which contains fat and usually a carbohydrate source. I don’t find these to be good at all because they use lousy carbohydrates like maltodextrin. Protein shakes usually have less than 5g of carbohydrate per serving and anywhere from 20-25g of protein per scoop. This makes getting the nearly 200g of protein per day for an advanced bodybuilder much easier. The shakes are usually tasty and are far more convenient than other protein sources like meat or eggs. There are many forms of protein in a standard shake but there are really 5 main types of protein you will find bodybuilders using. They each have their advantages and disadvantages although some are better than others. Whey protein concentrate, from milk, is the most widely used protein source. 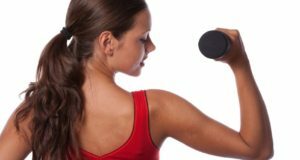 It is high in the branched chain amino acids which are essential for building muscle and probably the key factor in why whey protein is so good at building mass. Whey is the standard by which all other protein is judged. Some whey only products can contain too much lactose though, making it very hard to digest and causing uncomfortable bloating. Casein is another protein from milk. The casein claim to fame is that it takes longer to digest in the stomach. This is good for a night time protein, since it will feed the muscle during a long sleep. Casein has been shown to be slightly inferior to whey in its muscle building ability. Egg protein is the standard by which all other protein is judged. Egg protein is very expensive, which makes getting 100% pure egg protein tough to find. It is very easy to digest and has a good bio-availability but its amino acid profile isn’t as impressive as whey. Genus protein is from the yellow pea, making it a vegetable based protein. It is far different from most protein sources because it is highest in Glutaine and Arginine, making it a great protein to stack with whey. Genus protein is the easiest to digest and has a very low fat content, making it one of the best proteins to use in a blend with whey. It tastes great and is a very high quality protein. 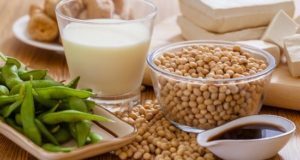 Soy protein is not a complete protein and most bodybuilders avoid it due to the estrogenic flavones in soybeans. 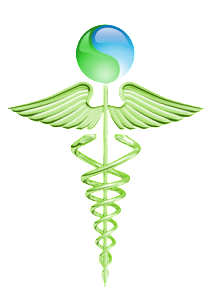 These estrogenic hormonal agents can act like estrogen in the body. Estrogen is the female hormone and reduces muscle density and makes you fat. Hemp protein is so lousy tasting that I can’t stomach drinking enough to know if it is good at building muscle. If you have an iron gut and you don’t mind drinking something that tastes like pond water mixed with garden soil, go for it. The truly best protein shake I feel is a mixture of Genus protein and Whey protein. These two give a much better digestibility factor than straight whey and also perfectly balance each other in amino acids that matter to the bodybuilder. Whey contains high amounts of branched chain amino acids and Genus protein contains high amounts of Glutamine and Arginine. Mixing these two makes for a killer combination. No matter what you use for protein, remember to get at least 3/4g to 1g of protein per pound of body weight for the beginner/intermediate, 2g of protein per pound of body weight for the advanced bodybuilder and 2.5g when using anabolic supplements like andro! If you take in this basic nutrient you will be assured of a much faster rate of growth, much better recovery and increased endurance. Plus, you won’t get big without it!